CT exams produce precise body images and have replaced many painful and costly diagnostic procedures. 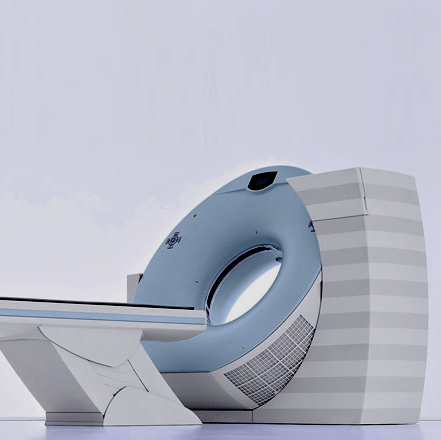 For this reason, CT scanning is a preferred diagnostic tool used by radiologists today. CT and CTA scans help assess how far diseases have spread in the body. They also help show how your body is responding to effects of treatment. CT and CTA scanning can examine the brain, sinuses, lungs, chest, abdomen, pelvis, and skeleton, arms, and legs. “CT” stands for computed tomography. CT uses x-rays and a computer to make a picture of sections of the body. A CT scan shows the body´s organs in greater detail and more clearly than regular x-rays. “CTA” stands for computed tomography angiography. A CTA scan gives a view of specific blood vessels (arteries and veins). CTA is often included in a CT exam. The patient should refrain from wearing clothing with metallic jewelry or ornaments such as hair clips, under wire bras, zippers and buttons. Patients should not drink or eat 3 hours before the test. Patients should fax or bring blood work results for Bun and Creatine (your physicians should give you the prescription for the blood work). Patients need to drink oral contrast the night before the test, or at least six hours prior to the test. Do not eat or drink anything after oral contrast is taken. The patient can pass by our office to pick up the oral contrast solution. ***Check with your physician about taking your medications. The CT or CTA scan is a painless procedure. The patient would have to lie on the open scanning table and follow instructions from the technologist. The length of a CT scan depends mainly on which parts of the body are being scanned and if contrast is administered. All of our diagnostic examinations are interpreted by Board-Certified Radiologists. The results of your CT or CTA scan will be sent to your referring physician as soon as they are interpreted. It is the patients´ responsibility to contact their referring physician to discuss the results of their examination and ask for further recommendations.